Between the Everest and Langtang regions is the stunning mid-Eastern range of the Himalayas; the Rolwaling valley. This is home to famous peaks such as Mount Ghauri Shankar (7134m), Dorje Lakpa, and many others. A few miles south of the Tibetan border, it is known as one of the seven hidden valleys in the Himalayas. This is a wild and barely explored district where legendary tales of the abominable snowman, known as the “Yeti”, haunt the imagination of climbers. On the slope of Rolwaling Peak itself, the famous British mountaineer, Eric Shipton, first photographed Yeti footprints in 1951. The trek starts from Dolakha, near Charikot, an eight-hour drive from Kathmandu. There is also the choice to continue your trek by crossing Tashi Lapcha (5755m). Technical mountaineering skills and equipment are required for this incredible adventure. 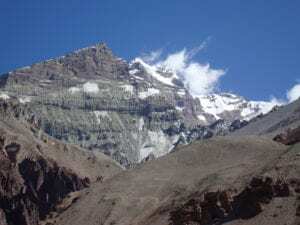 Trekkers will also be enjoying beauty of Tsho-Rolpa, the largest Glacier Lake in Nepal and can continue on to the Khumbu region which links to trek routes in the Everest region. This region lies between the Langtang range and the Everest region and the side of both Mt. Langtang and Mt. Everest, which are the highlights of this trek. The trekkers will be rewarded with the enchanting view of the majestic mountain Gauri Shanker. This region also has a lot of Tibetan influences, which makes it a truly unique trekking experience.